Controlling aquatic weeds is only possible with the correct tools. Evolution Aqua pure pond bomb is a tool that you need in your arsenal. Evolution Aqua pure pond bomb is an award winning, quick acting distilled version of the original pure pond product. It promotes water clarity and pond health. It is made up of a special blend of good bacteria and enzymes which start working the moment the bomb enters the water. It begins to get rid of organic waste and breaks down nitrite and ammonia. As a result, your pond will be pure, clear, and healthy. 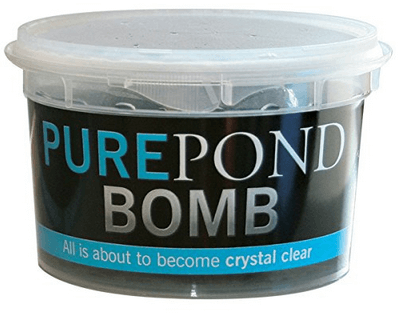 Pure Pond Bomb is an aid that assists the pond eco-system to balance itself while removing any interfering weeds such as blanket weed. It will help clean debris and dead plant matter from your filter. However, this is not a substitute for proper care and cleaning of your pond filter. 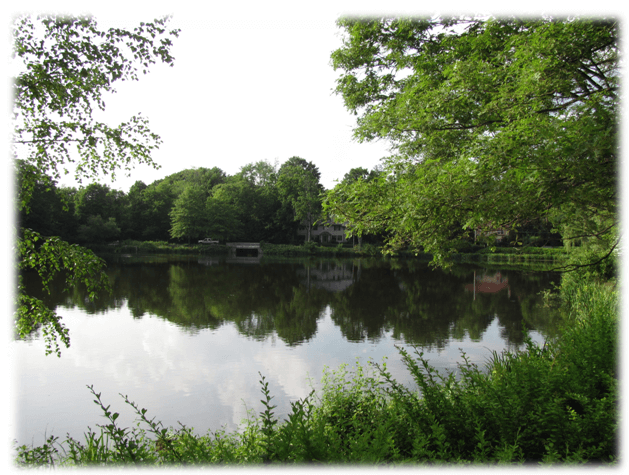 You must put an active effort into managing the whole pond-ecosystem. Millions of bacteria and enzymes inside one ball (bomb). Bacteria and enzymes stay alive in gel ball ready for use. Gel ball made from biodegradable polymer shrinks as bacteria and enzymes get to work. One ball treats up to 20,000 litres. Rapidly breaks down ammonia and nitrite. Performs well with all types of pond filter. Pet safe alternative for aquatic weeds. Pure Pond Bomb is ideal for usage in ornamental ponds, Koi ponds, and other bodies of water. To use, remove the ball from the packaging and place it on top of the pond filter. Take everything in the container and put it into your pond filter or on in the pond. Pure Pond Bomb works on ponds that are up to twenty-thousand litres in size. It is ideal for small to medium sized aquariums. There is no risk of over-treatment because you can drop multiple balls in the water without causing any damage. Next, the biological parts of your aquarium will begin to interact with the friendly bacteria and enzymes. It is most useful in temperatures above 13 degrees Celsius. The best time to use this product is between spring and autumn. Use it for 3-4 times between spring and fall for optimal results. A quick thing to note about this product is that it will not clear green waters. Another thing to keep in mind is that this is a natural product consisting of live friendly bacteria and enzymes; therefore the gel ball can differ in colour or size. None of these factors will impact the effectiveness of the product. After use, the balls will dissolve slowly on its own. Wash hands after using this product and store in a safe area out of the reach of children and pets. If you found this article helpful, help us by sharing through your favorite social media site or leave a comment below.